First post on here, not had a Vauxhall Astra before and would like to pick your brains if possible, I have always had Android HU in my cars and I have just started to look for a unit for the Astra, has anyone fitted one? I see there are many available from the usual places but I am just wondering if anyone has any experience of these with an Astra and which one they would suggest? There are actually people in here that fitted one and posted about it. My advice is to use google to search for the posts, the search function on this board is very poor. so google "astrakforums" and then the searchterms you want. Many thanks will try now, I did try the search on here and like you said, very poor! Just been on the phone to connects2 about one of their kits that comes with an info adapter which retains the onboard settings menu, however they say that I will lose the rain sensors which I find a tad strange. Can anyone who has fitted an aftermarket confirm if they have lost the use of automatic wipers?? I can't understand you being told that you lose the the rain sensor function. I would expect al in var functions to work as before????? The only thing that i am wary of, with fitting the GPS in the K, is the installation itself and the removal of the dash board trim etc. With these aftermarket units there are a lot of cables to install and the routeing of them can be a nightmare. Having said that, once installed and working it is probably the best mod. that you can make. And i have never found it a problem ordering these units from China and have always found them to be extremely well made and very reliable. With delivery times that can be most UK purchases. Only reason i can think of, for why you loose rain sensor is if they have not implemented the settings menu for that particular function. 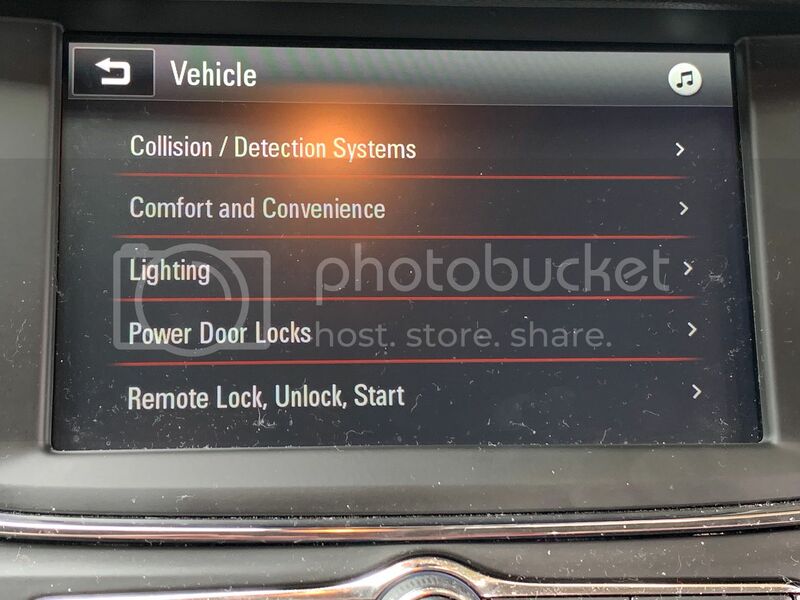 I would expect that you did not loose the function, just the ability to turn it on and off, but maybe the radio (HMI) actually holds the "list" of all functions that the car has. It certainly hides away any item that the car is not fitted with, sometimes so much that it's stupid. (Automatic heated seats....Why does this function only work when you have heated rear seats....The car knows when it's cold, as it turns on the rear window heater, so why not enable me to turn on automatic heated seats in the front only, when my car has heated front seats). So I am still a little nervous about replacing the factory unit due to all the settings in pic above going via the unit, can anyone who has fitted one of these android units confirm that they still have access to these settings? I have an android radio in the wife's Corsa D.
They are great units really, and even though the one she has is not exactly snappy, due to the processor, i would imagine that newer versions have more powerful CPU. The only thing that really bugs me with these radio's is that on the software side it's really a oneshot deal. If the radio was delivered with android 8 it will forever be staying on android 8 and not like mobile phones, that usually receive atleast 1 or 2 new versions. This radio is running android 8, but android 9 has been out for 8 months now, and android Q (10) is expected to be released in a couple of months, so essentially, before you get your radio delivered and installed, it is already 2 versions behind. Another, and maybe even worse problem is that there is usually no security updates. Google releases security updates for android every month, and if your radio never gets any security updates, in a few years (And you might want to keep this radio for the rest of the car's lifetime - Possibly 10 years) will be really out of date and contain several severe security problems that could be a real security threat if it is connected to the internet (Which is required if you want to stream music, navigate with google and so on). This could be a real problem, as you see the radio is able to control security parts of the car, which means that it has access to the CAN-BUS so basically someone with evil intentions could conceivably in a few years use some security flaw to disable your airbags and tell the car that it is about to cross some lines, making the car autosteer into the ditch or something like that. I love how these units have a larger screen, build in google maps, and whatnot, but the security and update scenario makes me wary of buing one again...Especially as the pricetag on these is still quite steep.